Top Ten Tips for Last-Minute Filers | The Levin Law Firm - Philip Levin, Esq. 1. E-File Your Tax Return – Don’t miss out on the benefits of e-file. Your tax return will get processed quickly if you use e-file. If there is an error on your return, it will typically be identified and can be corrected right away. E-file is available 24 hours a day, seven days a week, from the convenience of your own home. If you file electronically and choose to have your tax refund deposited directly into your bank account, you will have your money in as few as 10 days. Two out of three taxpayers, 95 million, already get the benefits of e-file. 2. Review Tax ID Numbers – Remember to carefully check all identification numbers on your return. 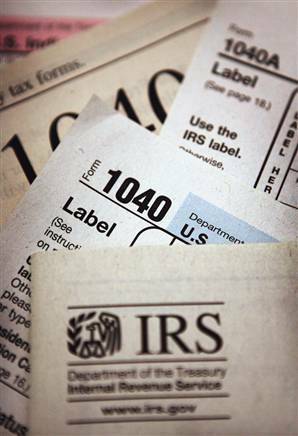 Incorrect or illegible Social Security Numbers can delay or reduce a tax refund. 3. Double-Check Your Figures – Whether you are filing electronically or by paper, review all the amounts you transferred over from your Forms W-2 or 1099. 4. Review Your Math – Taxpayers filing paper returns should also double-check that they have correctly figured the refund or balance due and have used the right figure from the tax table. 5. Sign and Date Your Tax Return – Both spouses must sign a joint return, even if only one had income. Anyone paid to prepare a return must also sign it. 6. Choose Direct Deposit – To receive your refund quicker, select Direct Deposit and the IRS will deposit your refund directly into your bank account. 7. How to Make a Payment – People sending a payment should make the check out to “United States Treasury” and should enclose it with, but not attach it to, the tax return or the Form 1040-V, Payment Voucher, if used. Write your name, address, SSN, telephone number, tax year and form number on the check or money order. If you file electronically, you can file and pay in a single step by authorizing an electronic funds withdrawal. Whether you file a paper return or file electronically, you can pay by phone or online using a credit or debit card. Visit IRS.gov for more information on payment options. 8. File an Extension, if Necessary – Taxpayers who will not be able to file a return by the April 15 deadline should request an extension of time to file. Remember, the extension of time to file does not give one an extension of time to pay the income tax due by April 15. 9. Visit the IRS Website, anytime – “www.IRS.gov” contains forms, publications and helpful information on a variety of relevant tax subjects. 10. Review Your Tax Return…One More Time – Before you seal the envelope or hit send, go over all the information on your return again. Errors may delay the processing of your return, so it is always best to make sure all numbers contained on your income return are correct and can be substantiated.